The Havurah’s lovely building was built in 1926 by members of the Golgatha Norwegian Lutheran Church. Most of its members lived in the Colvos area and walked to services, picnics, and potluck socials. 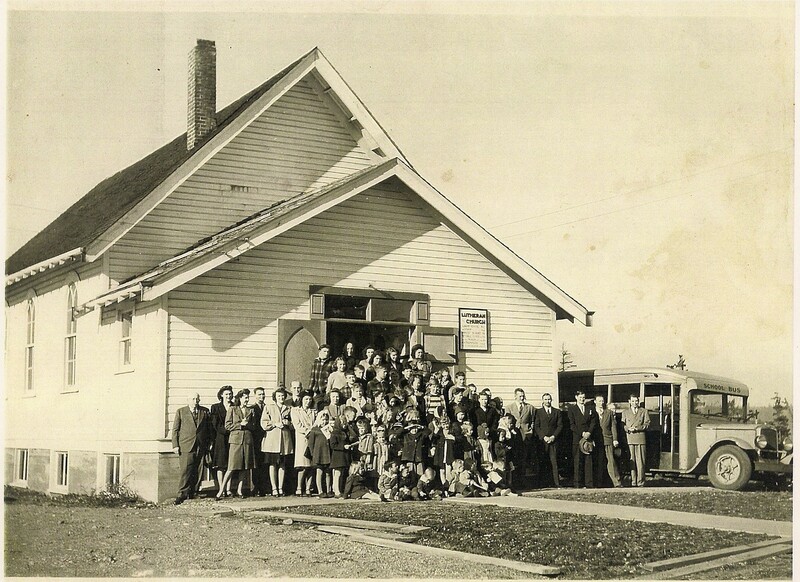 When the congregation dwindled, they gave the building to the Bethel Evangelical Free Church. Many younger Lutheran members helped to found the new group. According to neighbors, Bethel used the building for services, religious education, occasional revivals, memorable socials and spirited singing. Havurat Ee Shalom building, circa 1946. Photo courtesy of Tom Bean. Click the photo to enlarge. Bethel grew and focused activities at a new, larger church on the hill as well as a Christian school. They turned the building over to a Christian youth organization named Young Life. That group used it weekly until they decided to meet in other places. Subsequently, the larger Bethel Church suffered a terrible fire and they realized that selling the building (now surplus to them) could help pay for the needed repairs. So they put the future Havuarah building up for sale in 2001. There were many offers for the building, all above the asking price. The first offer, made the hour it came on the market, was from the Vashon Havurah. Emma Amiad argued that (unlike other potential buyers) the Havurah would retain the building as a house of worship, not remodel it into a house. Approached on the common ground of faith and fellowship, the church elders agreed to accept. In May of 2015 Havurat Ee Shalom entered into a Memorandum of Understanding to Rent/Share our building with The Puget Sound Zen Center. Learn more about the agreement in our President’s letter to the membership.